Product Details-Nutritional Composition-Crude Protein - 23%,Crude Fat - 8%,Crude Fiber - 4%,Moisture - 10%.Ingredienrs-Corn, Rice, Poultry Meal, Soybean meal, Chicken Fat, Full Fat Soybean, Lamb Meal, Brews Dried Yeast, Lecithin, Fish Oil, Vitamins - Minerals, Antioxidants, Food colorin. 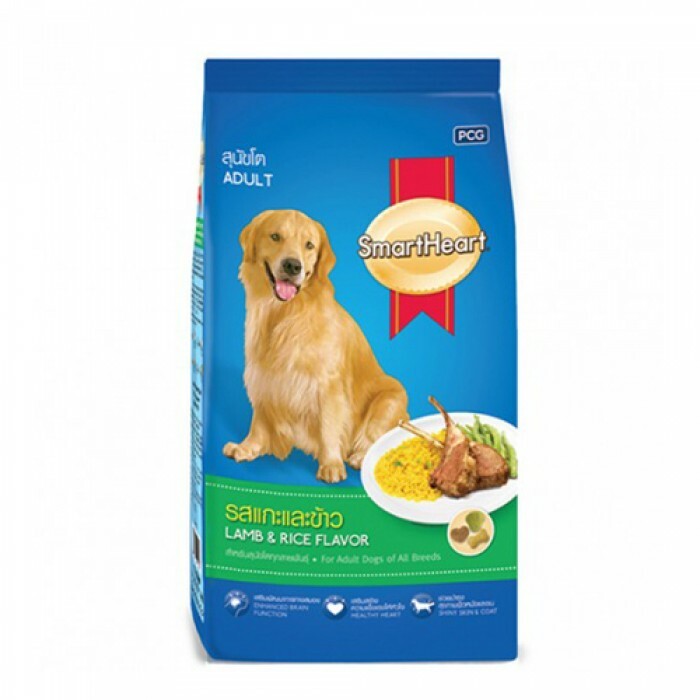 Flavour-Lamb - Rice, Suitable-Large - Medium Breed.Quantity-7 Kg. 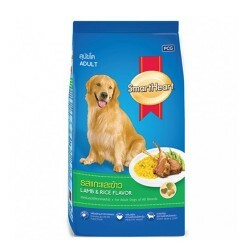 Product Information-Smart Heart Adult Dog Dry Food is tailored-made formulations of dog food which embraces the daily needs of adult dogs in a variety of flavours. ESSENTIAL BENEFITS-Enhance brain function- DHA and Choline for enhance brain and nervous system. Healthy heart-Omega 3 fatty acids for healthy heart. Enhance immune system-Essential nutrition of Vitamin E and Selenium. Healthy digestive-Highly digestible ingredients. Healthy Skin and Coat-Balance Omega 3-6 for good healthy skin and shiny coat. Strong Bones -Teeth- Supplement of Calcium and Phosphorus.